Chameleon is a multi-instrumental wind quintet with musicians united by their ability to double/triple. This means that each member performs on multiple instruments, often within the same piece. 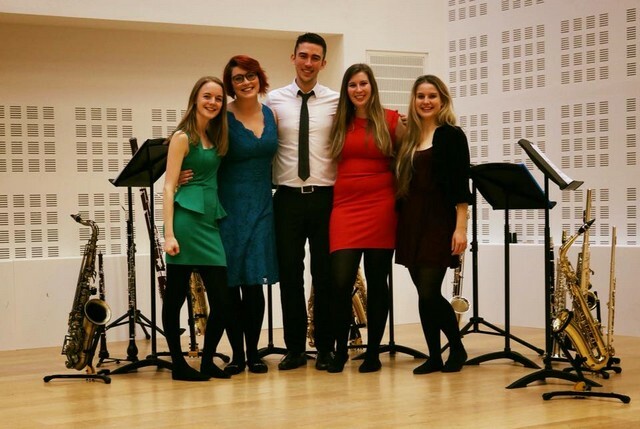 Having the whole woodwind family at their disposal makes for an interesting variety in repertoire and our combination of instruments means that they can push the boundaries of typical wind ensembles. Their current concert programmes consist of music from the musicals, folk music and French-themed repertoire. They are constantly arranging and collaborating with composers to expand this list and they are in the process of have three original pieces written for their unique combination.